Give your labels some description! Board admins can also edit label names from within a board's menu by selecting "Labels," and then clicking the pencil icon next to the label they want to rename. 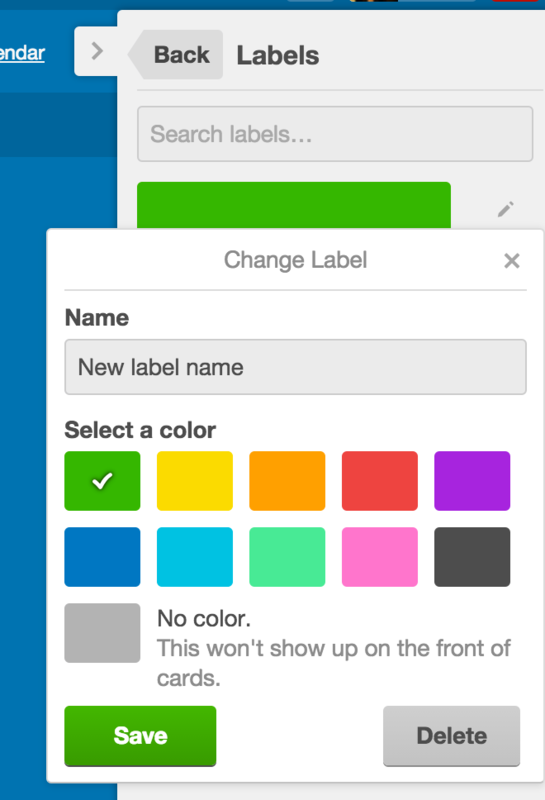 Users can select from a variety of colors for their labels. 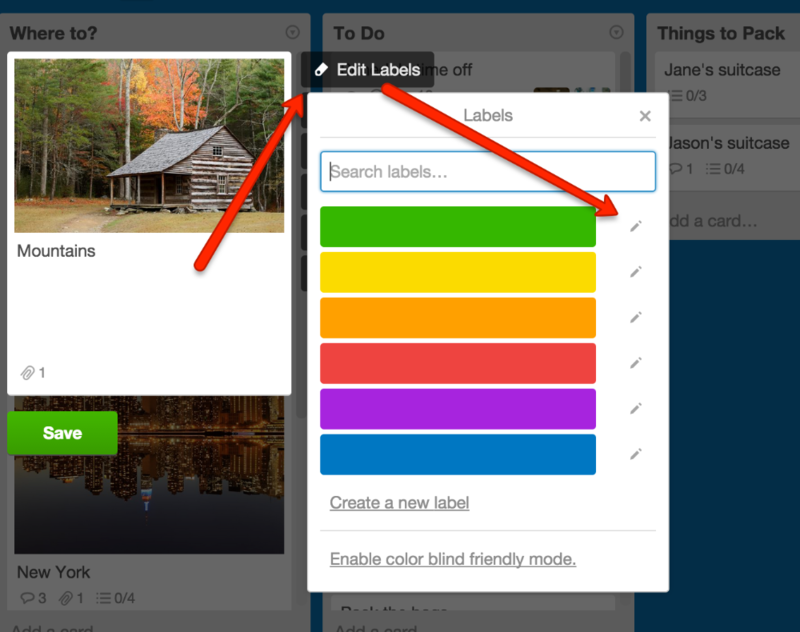 You can delete a label in the same place that you rename the label. To do so, simply click on Delete at the bottom of the change Label menu.